I was first introduced to the beauty, speed and precarious existence of the cheetahs through the Cincinnati zoo. Working with a very dear friend of mine, Catherine, a key figure, with her husband in the preservation of these beautiful cats, I sculpted this piece. 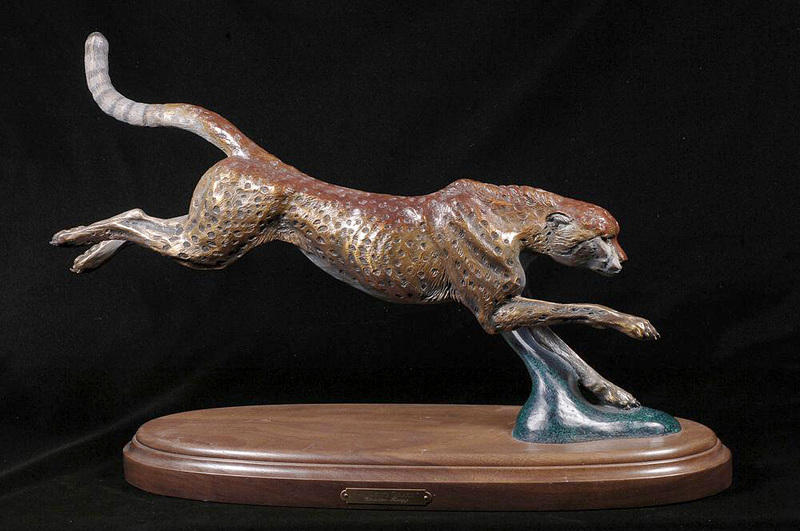 One sculpture in this edition was presented to the President of Namibia at the United Nations in appreciation for his efforts in saving the cheetahs. Another was presented to a Broadway star, who, with many of his colleague graciously give up their time and share their talents for a brilliant show in Cincinnati with all proceeds going to the Save the Cheetah foundation. But the one that honors me the most is the one that is in Catherine’s home.